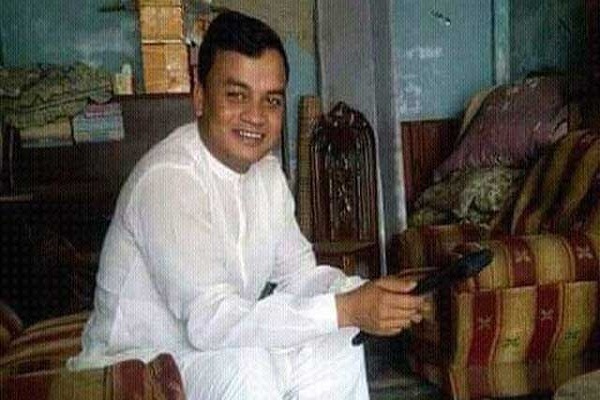 Sunamganj Correspondent : A local leader of Awami League was found dead at Islampur village in Sadar upazila early Tuesday. The deceased is Md Joynal Abedin, 50, son of Md Muslim Uddin of the village and general secretary of Jahangirnagar union AL. Superintendent of Police Md Barkatullah Khan said that Joynal remained missing since he went out of his home around 11:30 am to bring some goods from his shop. Locals spotted his stabbed body near a road early in the morning and informed police. On information, police recovered the body and arrested four people in connection with the murder. The arrestees are- Md Selim Miah, 26, Md Sagar Miah, Shahin Shah, 40 and Md Robi Miah, 25. A team of police led by SP, additional SP Md Hayatunabi and officer-in-charge of Sadar Model Police Station Md Shahidullah visited the spot and talked to his family members. Family members said that he might have been killed by rivals centering the recently held upazila election.